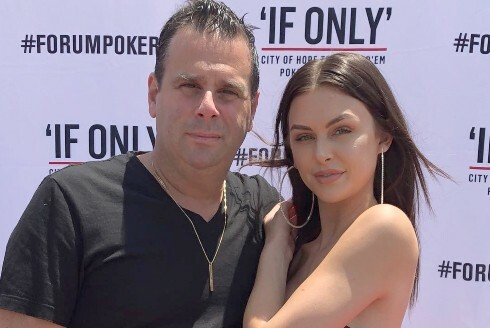 There has long been a cloud of suspicion over Vanderpump Rules star Jax Taylor’s claims to have served in the U.S. military. 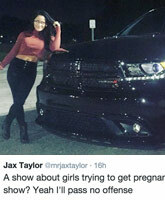 Jax has previously stated that he served four years in the Navy, and was stationed aboard the aircraft carrier Roosevelt out of Norfolk, Virginia. 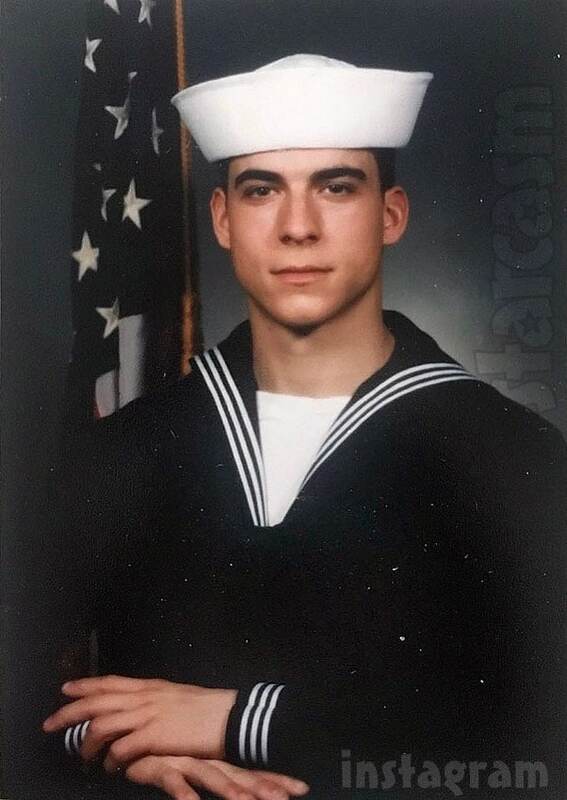 There were numerous reasons to be suspicious of Jax’s claims, including the fact that he never really shared any photos from his time in the Navy. Plus, serving four years in the Navy didn’t really fit with the timeline of his life during that time. 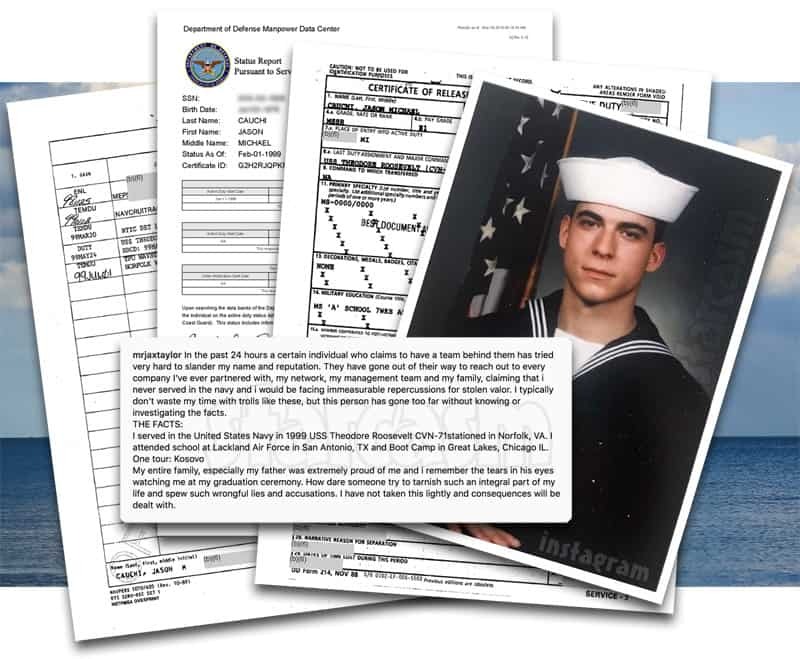 After a recent concerted effort to get to the truth by “a certain individual who claims to have a team behind them,” Jax took to Instagram to explain his history in the Navy in detail — a claim that has since been backed up with military records. However, it does appear that Jax fudged the amount of time he served — by quite a bit. In the past 24 hours a certain individual who claims to have a team behind them has tried very hard to slander my name and reputation. They have gone out of their way to reach out to every company I’ve ever partnered with, my network, my management team and my family, claiming that i never served in the navy and i would be facing immeasurable repercussions for stolen valor. I typically don’t waste my time with trolls like these, but this person has gone too far without knowing or investigating the facts. I served in the United States Navy in 1999 USS Theodore Roosevelt CVN-71stationed in Norfolk, VA. I attended school at Lackland Air Force in San Antonio, TX and Boot Camp in Great Lakes, Chicago IL. My entire family, especially my father was extremely proud of me and i remember the tears in his eyes watching me at my graduation ceremony. How dare someone try to tarnish such an integral part of my life and spew such wrongful lies and accusations. I have not taken this lightly and consequences will be dealt with. Just as Jax states in his post, the accusation of “stolen valor” is a very serious one. Dave Hardin from the website thisainthell.us was able to track down Jax’s actual military records, and they confirm Jax’s enlistment. However, they indicate that Jax was discharged after a little more than six months. According to the records, he was stationed aboard the USS Roosevelt for all of 37 days. July 16, 1999 – Jax Taylor was discharged from the Navy. There is no indication as to why Jax was discharged. I was in the Navy for four years, and I was stationed in Norfolk, Virginia on a aircraft carrier called the Roosevelt. I was a specialist. I drove, like, special forces around — Navy SEALs and stuff like that. March 26, 1999 – USS Theodore Roosevelt departed homeport for a surge deployment. April 6, 1999 – The Battle Group arrived on station in the Ionian Sea to support NATO’s Operation Noble Anvil. During Operation Noble Anvil (Allied Force), Between April 6 and June 9, aircraft from Carrier Air Wing (CVW) 8 flew 4,270 sorties, of which 3,055 were combat and delivered 800 tons of ordnance on targets throughout the Federal Republic of Yugoslavia. These sorties involved essential combat support missions, such as close air support, battlefield airborne interdiction, electronic support and airborne battlefield command and control, as well as strike missions. It’s clear that there must have been some sort of reason for Jax’s rather prompt discharge after 37 days aboard the USS Roosevelt, but that mystery must be left for another day.